Things to do with Visitors in Brisbane | Places to Take Tourists! So you are looking for the best tourist attractions in Brisbane and things to do with visitors in Brisbane. But you are bit overwhelmed with all the choices. What to do?? What to do in Brisbane?? Fret none! We’ve compiled the best list of places to take tourists in Brisbane with a Brisbane tourist map, that you will be spoilt for (organised) choice! We’ve got the best list, chokka-block full of details, outlining what to do in Brisbane and places to take overseas visitors. Here is everything you need to know to make your tourist guests’ visit the most enjoyable part of their stay in Australia. Are you ready? Here we go…. What’s on TODAY in Brisbane? Brisbane’s Cultural Precinct at South Bank is alive with fun, interactive, family-friendly entertainment. There’s a lot to discover at the art galleries, the Queensland Museum, State Library, and Science Centre, and with matinee and evening entertainment at the Queensland Performing Arts Centre there’s plenty to fill not just one day, but several! Set amid the beautiful riverside parklands, we guarantee the Cultural Precinct is a place you won’t want to miss! GOMA, Brisbane’s Gallery of Modern Art, is a place of wonder for families of all ages, located in the Cultural Precinct of Brisbane’s beautiful South Bank parklands. There is always something fun and exciting to see at GOMA, and with lots of interactive displays and exhibitions you’ll find plenty to keep even the littlest children occupied. GOMA was designed with families in mind and is fully accessible for wheelchairs and prams, air-conditioned for comfort, and has plenty of bathrooms, parents’ rooms, and indoor and outdoor rest and play areas. You can easily spend the whole day here as GOMA offers a garden café and a two-hatted restaurant, or bring your own picnic to enjoy on the riverside lawn. 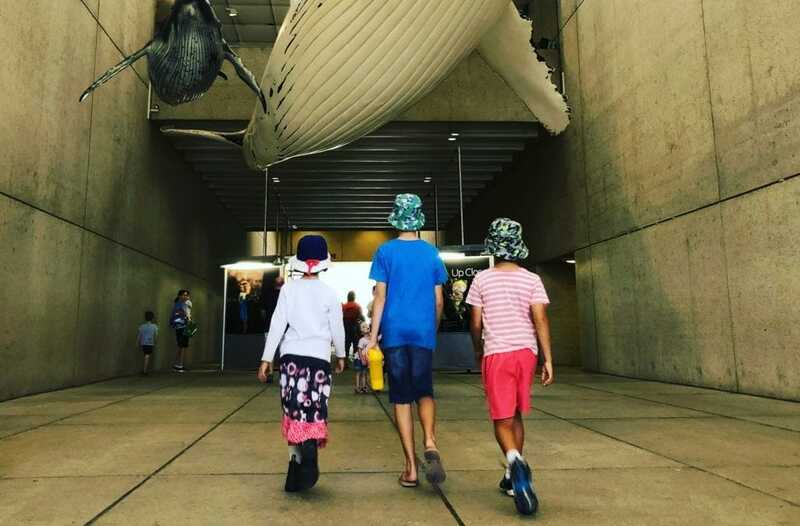 Children and adults love GOMA as it offers a perfect family experience, and with ever-changing displays and exhibitions there’s always a sense of excitement and adventure wondering what you’ll discover with each return visit. You can find out more about what GOMA has to offer here or visit the GOMA website, to plan your visit. 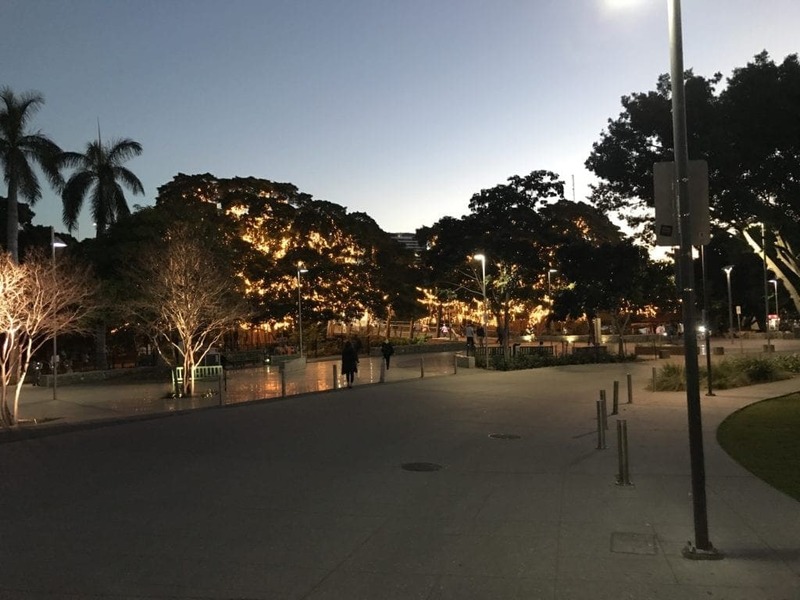 Just a short walk from South Bank parklands, within the Cultural Precinct, you’ll discover one of Brisbane’s most popular attractions: Queensland Museum. With its own underground car park, and public transport dropping you right by the door, Queensland Museum is super-easy to get to. There’s something for everyone to enjoy or get involved in at Queensland Museum; it’s home to dinosaurs and whales, vintage memorabilia, and – always a favourite with the kids! – the hands-on Discovery Centre. The museum hosts visiting exhibitions from around the world so there’s always something new to discover. Queensland Museum is fully air-conditioned, pram and wheelchair accessible, and has a café and kiosk on site. The Sciencentre (reopening mid 2018) is undergoing a major multi-million dollar upgrade that promises to bring you a world-class experience. 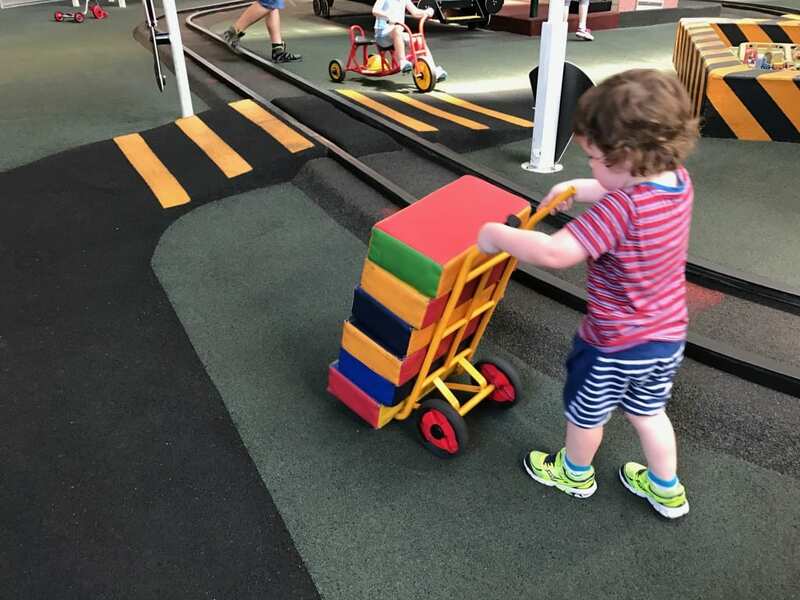 Located beneath Queensland Museum, the Sciencentre has always offered a range of mind-bending facts and interactive experiences, and the new Sciencentre promises to bring even more surprises, shocks, and hands-on learning to inspire curious minds. If you’re visiting before mid 2018, the Sciencentre is offering a thrilling range of mind-bending challenges with its ‘Perception Deception’ exhibition, hosted within the Queensland Museum. Queensland Performing Arts Centre, affectionately known as QPAC, is a theatre experience not to be missed. Home to not just one theatre, but several unique venues playing host to musicals, plays, concerts, shows, ballet, events and exhibitions, both indoor and outdoor –there’s always something happening to entertain the family at QPAC! QPAC is easy to get to, has masses of on-site parking and public transport stopping right outside, offers variety of eateries from ice-cream kiosks to restaurants, is fully wheelchair and pram accessible with secure pram parking, has booster cushions for little people and plenty of run-around spaces to enjoy, and you can walk right out of the back doors into South Bank parklands and playgrounds. To find out what’s on when you visit, go to www.qpac.com.au, and to find out more about QPAC for kids, click here. Queensland’s State Library, founded in 1896, is an inclusive and welcoming place for visitors of all ages. Don’t be fooled into thinking it’s a place of research, quiet contemplation, whispers and shushing, Queensland’s State Library is truly a library for the 21st Century. Arranged over five bright and modern levels, there are galleries and exhibitions, interactive displays, “The Corner” with activities for children under 8, historical displays, and, when you’re ready for a break, there’s a café and shop. To find out more about what makes the State Library of Queensland a great place to visit, click here. The Art and The River Public Art Trail takes visitors on a 2.4km journey along the river’s edge through to Kangaroo Point, starting at the Maritime Museum and ending up the Thornton Street ferry terminal. Along the way you’ll discover artworks, photographs and sculptures telling of the maritime and industrial heritage of the Brisbane River and Brisbane, visit historical sites of interest, and be able to play amongst and explore the many creative and artistic installations. The trail is easily accessible and can be enjoyed on foot or by bike, and there’s an optional detour up the steps to the top of Kangaroo Point cliffs for those feeling energetic. At the end of the trail you can take a relaxing trip back on one of the city’s many ferry services, including the free City Hopper. To download a trail map and brochure, click here. You might think Brisbane lacks the historic culture of Melbourne, or the fast-pace of Sydney, but Brisbane has plenty of its own attractions to make it a standout destination for tourists. It’s pretty easy to get to with plentiful parking (see our guide to the best cheap parking spots) and once in the CBD you can catch the free city bus, which loops from the signposted red bus stops every ten minutes to the most popular tourist destinations. There’s plenty to see and do in Brisbane CBD without visiting a single shop, and we’ve picked some of our favourite suggestions for visitors of all ages. The Brisbane City Hall and Clock Tower is open to visitors every day of the week. Built in the 1920s it’s still the seat of the Brisbane City Council, but there’s a lot more going on here than stuffy council meetings! The City Hall and Clock Tower is a cultural centre, museum and café offering free guided tours, along with the opportunity to ride 64m up in the hand-operated lift for a birds-eye city view from the Clock Tower – also free! This is a great one to tick off your list but be sure to book early as tour allocations fill up quick, especially during school holidays. You’ll find Brisbane City Hall and Clock Tower in King George Square, Adelaide Street, and more information here. The Museum of Brisbane is located within the City Hall and houses artworks, ceramics, vintage clothing and an ever changing program of exhibitions. Entry is free, and we’ve got more information ab out what’s on here for all your visitor details. The QUT Gardens Theatre (Queensland University of Technology) stages performances throughout the year, all directed, cast, lit and managed by the university students themselves. Located at the QUT Gardens Campus, next to the City Botanic Gardens, the Gardens Theatre puts on a variety of shows from dance, comedy, classics, contemporary theatre and kids shows. Click here to see their current program. Who could turn down a free cruise? OK, it’s not quite a cruise, but you are on the river and it’s FREE! The free City Hopper travels up and down the Brisbane River, stopping every thirty minutes at North Quay, South Bank, and the Maritime Museum, on its way to the Sydney Street terminal at New Farm. You can hop on and off as often as you like, zig-zagging across the river to enjoy the many sights and attractions Brisbane CBD has to offer. And did we mention that it’s free? Readabout our day out on the City Hopper here. The Brisbane CityCat is the premier ferry service on the Brisbane River, taking you all the way from the University of Queensland terminal at St Lucia through to the Northshore Riverside Park terminal at Hamilton with 24 stops in between near some of Brisbane’s best tourist attractions. You don’t have to be a commuter to ride the CityCat; it’s a great way to spend a relaxing afternoon cruising the Brisbane River in luxury and comfort. The many sights you see include Newstead House, the Story Bridge, the city skyline, South Bank and the Wheel of Brisbane, the Treasury Casino, the Maritime Museum and some stunning real estate. It takes just over an hour to go the whole length one-way, and our tip is to try the journey at sunset for some fantastic shots of the sun setting on the river and highlighting the city skyline. You’d expect to pay a lot for a luxury river cruise, but as a commuter service you only pay the standard public transport cost, and if you have a child aged 5-14 they travel FREE at weekends with their Orange Go Card. Children under 5 are free anytime! See the more information here. You don’t have to wait until Christmas to see Brisbane lit up in a colourful display! Take a walk through Brisbane city on any night of the week to see a kaleidoscope of colours in the “City Of Lights” installations. 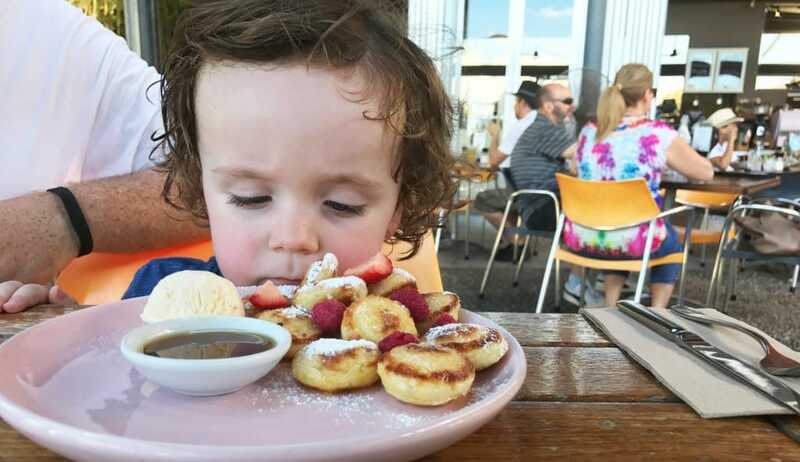 https://www.familiesmagazine.com.au/city-of-lights/ The “City of Lights” project is a Brisbane City Council initiative encouraging local businesses to highlight the many beautiful areas around Brisbane, and the number of local businesses joining the party is constantly growing! The most magical (in our opinion) is the fairy garden in the City Botanic Garden, where two huge fig trees glitter with tens of thousands of tiny fairy lights. Other notable venues are the Brisbane City Hall in King George Square, the Story Bridge and the Treasury Casino. Make sure you take a trip across one of the bridges too to see the magical lights reflected in the river! See our write up of the Botanic Gardens City of Light installations here. The Brisbane River is the longest river in South East Queensland, and the source of Brisbane’s nickname “The River City”. Parklands, museums and entertainment venues flank both its banks and it’s always a popular recreational destination for tourists and locals alike. On a warm Queensland day the Brisbane River provides ample opportunity to cool off! Take a leisurely cruise along the Brisbane River with River City Cruises. The 90-minute cruises leave twice a day for a comfortable guided tour of the Brisbane River sights, with morning or afternoon tea available and amusing commentary along the way. There is the option to get off at Newstead House to catch a later cruise back, and this might be a good idea if you’re travelling with children who may find the experience a little long. Catch the ferry to Kangaroo Point (or drive there – it is accessible!) and get ready to embark on some great outdoor adventures with the crew at Riverlife Adventure Centre. Located at the old Naval Stores, Riverlife invites adventurers aged 8 years and older to challenge themselves with stand-up paddle boarding or kayaking with experienced instructors and guides. There is even the option to kayak the river after dark for a more ‘illuminating’ experience! If you don’t fancy getting wet, you can always take part in the other activities offered at Riverlife, such as abseiling down the Kangaroo Point cliffs, rock climbing, and laser tag. See the Riverlife website for more details. For days out with family and friends nowhere beats Brisbane and its wealth of parklands and gardens. Brisbane has so many great gardens and parklands to explore and each offers a unique experience for visitors of all ages. You can explore adventure playgrounds and forts, water parks and beaches, lagoons, nature trails, heritage and historical sites, admire horticulture and arboriculture, go tree climbing, wildlife spotting, picnicking, Frisbee-throwing, and kite flying, and enjoy cycle paths, festivals, edible gardens, and sporting facilities – with so many vibrant and attractive parks it’s no wonder Brisbane is a popular destination for tourists and visitors from all over the world! Here are some of our favourite parks, gardens and playgrounds in Brisbane. The City Botanic Gardens is a heritage-listed haven full of surprises. You can enter the park from Alice Street in the city, or stroll across the Goodwill Bridge (check out the fairy lights here) from the Maritime Museum and enter alongside Riverstage. There’s lots to see and do at City Botanic Gardens! Start your visit by grabbing a map at one of the entry points (or download it from the council website) and follow the winding trail to discover a host of historic artworks, sculptures and hidden treasures. Along the way you will pass ornamental ponds and fountains, see amazing river views, stroll through the magnificent Weeping Fig Avenue, and visit stunning lawns and garden beds. The kids can burn off any remaining energy in the fantastic All Abilities Playground before the grown-ups enjoy a light lunch or cream tea in the Gardens Club Café. If you get the chance, we recommend you take the hour long guided walk to enjoy the full City Botanic Gardens experience. You can find out more here. The Mt Coot-tha Botanic Gardens will take you on a horticultural world tour over 52 hectares, with Australian and tropical rainforests, a formal Japanese Garden and Bonsai House, lagoon, bamboo grove, and desert amongst your many stops. For the children there are a number of playgrounds and lawns to explore, but the highlight of their day will be the ‘Hide and Seek’ adventure trail. The Hide and Seek trail is a real head-turner with 17 secret objects hidden up, down, and all around, including musical bats, giant dragonflies and many more strange and wonderful creatures. The Mt Coot-tha Botanic Gardens is also home to the Sir Thomas Brisbane Planetarium where children (and adults!) can explore the galaxy and learn about space travel. At the end of your day it’s well worth a trip up to the Mt Coot-tha lookout to see the sun set over Brisbane city. The South Bank Parklands are truly a venue for all to enjoy. Covering 17 hectares along the Brisbane River, South Bank is a firm family favourite for a big day out. South Bank boasts three fun playgrounds, a variety of gardens and ornamental ponds, cycle paths and boardwalks, plenty of places to eat or picnic, and even its very own patrolled beach, lagoon and water playground! There’s always something happening at South Bank, from buskers and street entertainers, to events and activities, outdoor movie screenings, markets and the famous annual River Fire Spectacular in September. You can easily find enough to fill several days at South Bank, with a visit to the Cultural Precinct, featuring theatres, galleries, the museum and Sciencentre, highly recommended, or you can take a spin on the big wheel, or stroll through the Peace Pagoda, which was a gift from the Kingdom of Nepal for the World Expo in 1988, tour the Maritime Museum or take in the sights with a mini cruise on one of the ferries. There are plenty of cafés and eateries along South Bank, and accessible toilet and shower facilities. In the heart of the city, and right next to the Roma Street train station, is a delightful haven that’s the perfect place to relax, picnic by the lake, or do a bit of wildlife spotting. The kids will love the newly refurbished playgrounds where they’re encouraged to climb trees and explore, and Roma Street Parkland regularly plays host to musical and culinary festivals. The Parklands are spread over 16 hectares, but you can easily get around with the help of the Parkland Explorer, a trackless steam train running Wednesdays and Saturdays. Visitors to Roma Street Parklands can enjoy access to free barbecue facilities and deckchairs, plenty of drinking fountains and facilities, and most paths are suitable for wheelchairs and prams. New Farm Park, just a short ferry trip from South Bank, is a real imagination station for some good old-fashioned childhood fun. Want to fly a kite? There’s plenty of space here. Want to climb a tree? Try the huge Moreton Bay Figs that are a feature of this historic park, or take the easy route along bridge walk that winds through trunks and branches. Want to be the hero of the hour? Let your imagination run wild in the giant wooden play fort. There’s so much to explore and do in New Farm Park, and with free on-site barbecues and picnic areas, lots of play areas, toilet facilities, drinking fountains and even free wi-fi it’s easy to turn a couple of hours into a full day out. Sherwood Arboretum is a paradise for little monkeys – it’s chock full of wonderful trees to climb and explore! Sherwood Arboretum was established in the 1920s and features over 300 species of native trees and plants, set along winding paths and sweeping avenues. There are also two lake wetlands and a huge playground to enjoy, and free barbecue facilities and picnic areas if you want to make a day of it. Don’t forget to take your camera because there’s lots of interesting wildlife to spot too! On the north side of the Brisbane River, a short stroll from the Milton Train Station and Milton ferry terminal, you’ll find Frew Park; a park where physical activity is actively encouraged! The playground at Frew Park is amazing, and perfect for little daredevils. 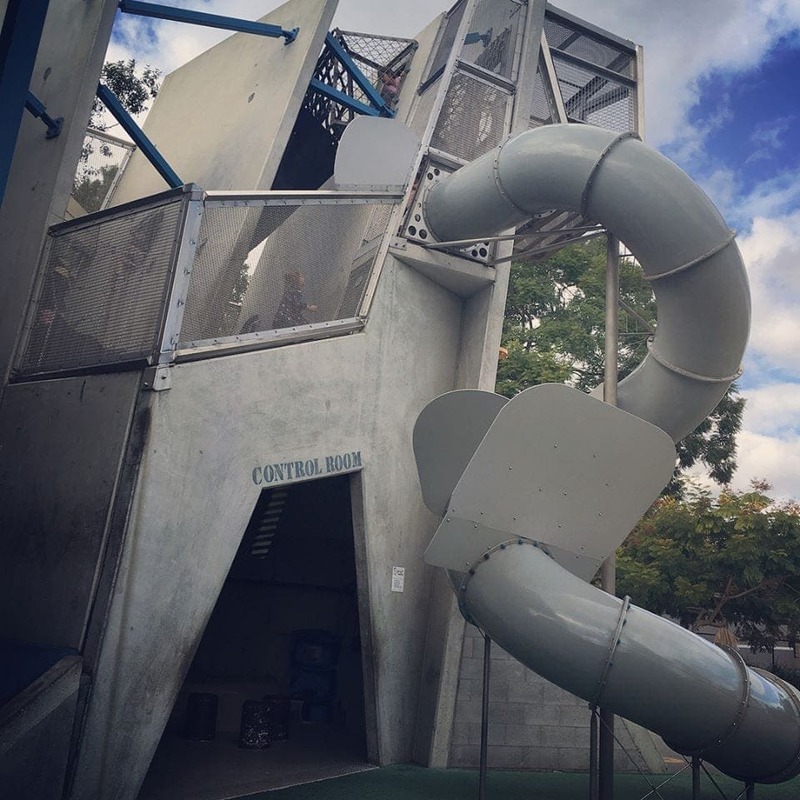 Its quirky industrial theme has a cage suspended seven metres above the ground and a five metre high curly slide, but there’s also plenty for smaller kids too at the lower levels. The playground is dedicated to getting kids active in ways that will test their abilities, with ropes and climbing nets, high balance beams, rock climbing walls, tunnels and parkour style fun. It’s truly a place where kids can be kids, and grown-ups will welcome any excuse to get in there with them! Frew Park is an adventure your kids will definitely thank you for! For sportier families, facilities include tennis courts and basketball hoops, lawns for ball games and Frisbee throwing, and the paths are perfect for scooters and cycles. There’s also a café on site and free barbecues, and plenty of accessible toilets. Read more about Frew Park here. Brisbane truly has come into its own as a foodie destination. There are so many different places to eat and drink to sample the wide range of cuisines that speak of a truly multi-cultural society. Here are our favourite places to take tourists to eat and drink in Brisbane (and long after your guests leave as well!). Speaking of iconic destinations, The Breakfast Creek Hotel is another one of our favourite destinations. If you time it right as well, you might be able to rock up on a night when kids eat for free. Take in the beautiful position on the Brisbane river, go for a stroll around the boardwalks and head over to roam the grounds of Newstead House. This is a great place to take visitors to really give them that ‘slilce of life’ that’s part of living in Brisbane. Here’s a great, low cost venue that might be an excellent choice for visitors to Brisbane. There are a number of barbeques placed at strategic points along the Kangaroo Point cliffs. Head there on sun down to cook up a few snags, take in the incredible views and take advantage of the walking tracks down to the playgrounds underneath the cliffs. It’s a great spot but get in early to guarantee that you get a parking spot – it can get quite busy! It’s a great spot to enjoy a public holiday in Brisbane – there’s always a lot of low-cost activities going on that you can take advantage of, regardless of the holiday. 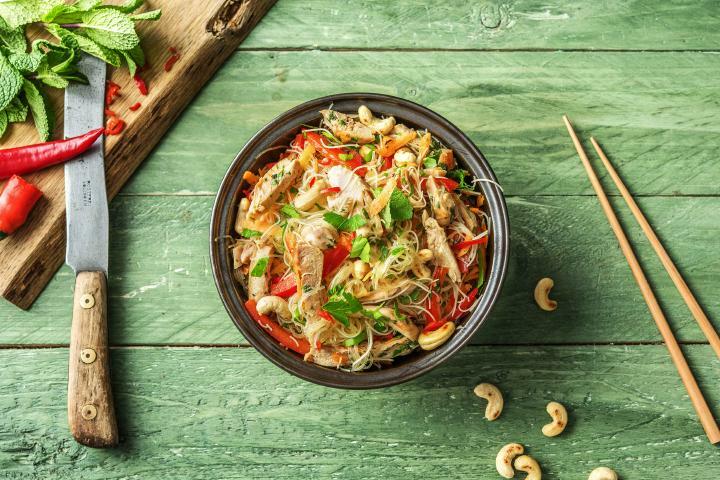 If barbeques are your thing but you don’t want to cook the meat yourself, check out our list of Korean and Mongolian BBQ venues around Brisbane! Eagle Street Pier is quickly becoming a premium foodie destination and one of the best places to take overseas visitors that we know of! Burgers, pizzas and cuisines from all over the world come together in a mish-mash of tastebud heaven that boasts some of the best views of Riverfire around. You can even get the Citycat there to make the most of what the river has to offer – extending this great experience with a boat ride to remember for your tourist mates. This iconic destination on Milton Road isn’t just the home of our favourite drop – it’s also now the home to a stylish restaurant and bar. The alehouse variety of drops complements the traditional menu (burgers, steaks, fish and chips and all the classic pub food you’d expect) and the chance to dine in the historic building itself makes this a great tourism experience for visitors and locals alike. Sunnybank’s famous Market Square will offer an incredible variety of choices for your overseas tourist guests! Every cuisine under the sun can be found in this amazingly colourful joint. There’s noise, colour and crowds. Our tip though – the carpark can get VERY FULL very quickly. You may need to park in adjoining streets. Be very wary of signage and parking over driveways – ticket inspectors roam the area and residents can (rightfully so) become quite irritated. Our other tip? PHO! EAT ALL THE PHO! Families Magazine LOVES Victoria Park! The bistro is fantastic with lots of great choices for kids. There’s an awesome playground, activities for little ones, putt putt golf and a driving range. They’ve recently opened a new rotisserie that’s divine (for meat eaters, anyway). This is a fantastic venue and it’s one that we wholeheartedly recommend as a great place to take overseas visitors. If you have come to visit Australia, chances are you want to check out our wildlife both native and introduced. You would be mad to miss out on one of these fantastic Brisbane attractions. Of course Brisbane has the BEST zoo in Australia (thanks Steve!) but it’s not all about the big ticket attractions in Brisbane. Check out our favourite wildlife parks, zoos and animal farms. 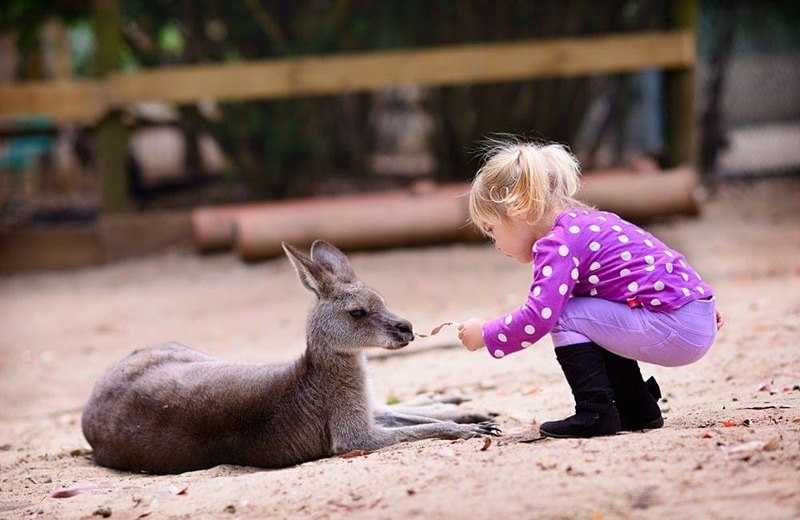 The Lone Pine Koala Sanctuary is a firm Brisbane family favourite, and it’s easy to see why! Located on the banks of the Brisbane River in Fig Tree Pocket, Lone Pine Koala Sanctuary was established in 1927 as a small wildlife sanctuary and is now home to a diverse range of native Australian fauna. There are not many places in Australia where you can observe the elusive platypus in an underwater exhibit, but the Lone Pine Koala Sanctuary is one of them! Visitors to Lone Pine Koala Sanctuary can get up close to koalas and snakes for a photo shoot (check out the wall of international celebrities who have done the same! ), see Aussie sheepdogs working the flock, pet the farm animals in the barn, and stroll amongst the kangaroos and emus who’ll happily take food from your hand. There’s a café and shop on site, and Lone Pine Koala Sanctuary is easily accessible – you can even get there by ferry, which docks right outside! If you want to tick off your list of unique Australian natives – koala, platypus, dingo, echidna, wombat, kookaburra, Tasmanian devil, emu … then Lone Pine Koala Sanctuary is THE place to go. See our review here. 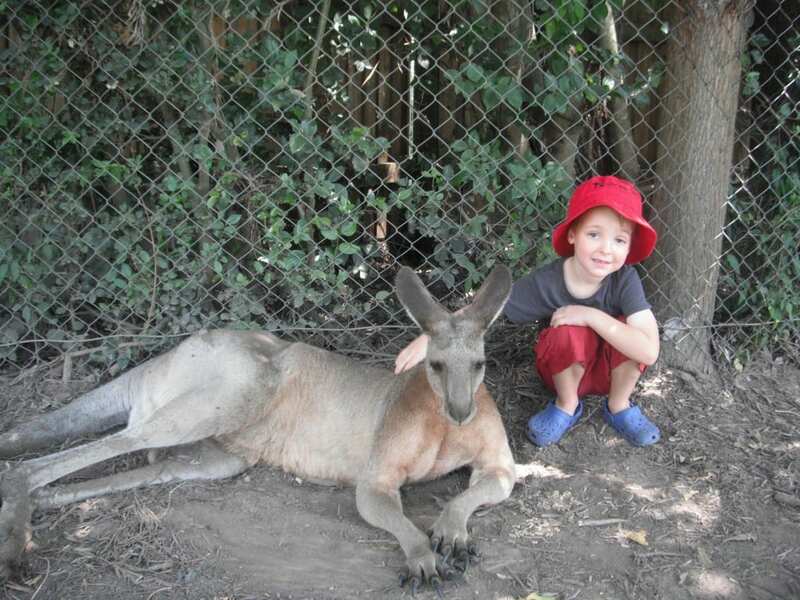 Australia Zoo is world famous (it’s the home of Crocodile Hunter, Steve Irwin!) and we’re lucky to have this Australian treasure just over an hour’s scenic drive north of Brisbane. Founded as a reptile park in 1970, the zoo grew to become the internationally renowned wildlife conservation park it is today when charismatic Steve Irwin won the hearts of TV viewers worldwide through his hit conservation shows. 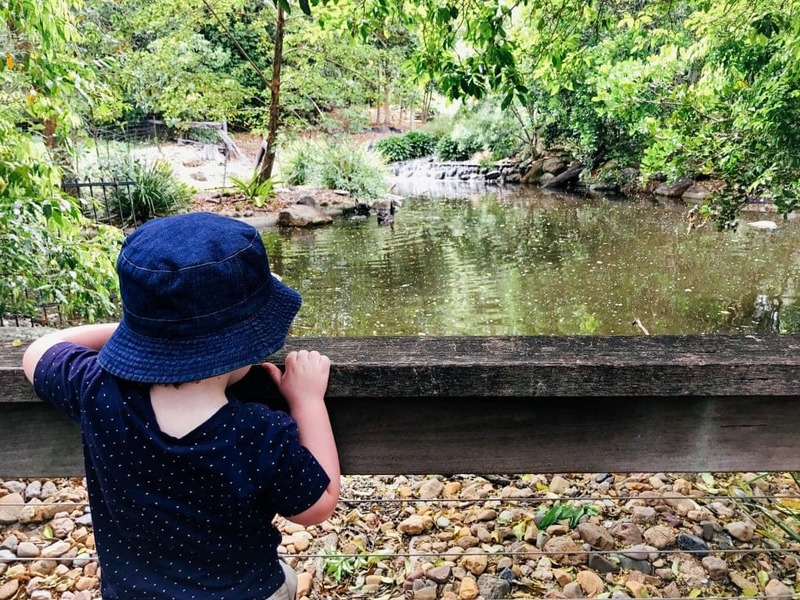 A meandering boardwalk (wheelchair and pram friendly) will take you through the trees and enclosures at Daisy Hill Koala Centre in Daisy Hill Koala Park. The centre, located in 435 hectares of eucalyptus forest 25km south of Brisbane, is an educational facility that’s FREE to enter. While there, you can climb the observation decks to get a koala’s-eye view of the forest and surrounding areas, meet the resident koalas, and learn all about koala life and conservation. Click here to find current opening hours and planned activities, or read this article to learn more about what makes Daisy Hill Koala Centre a great place to visit. 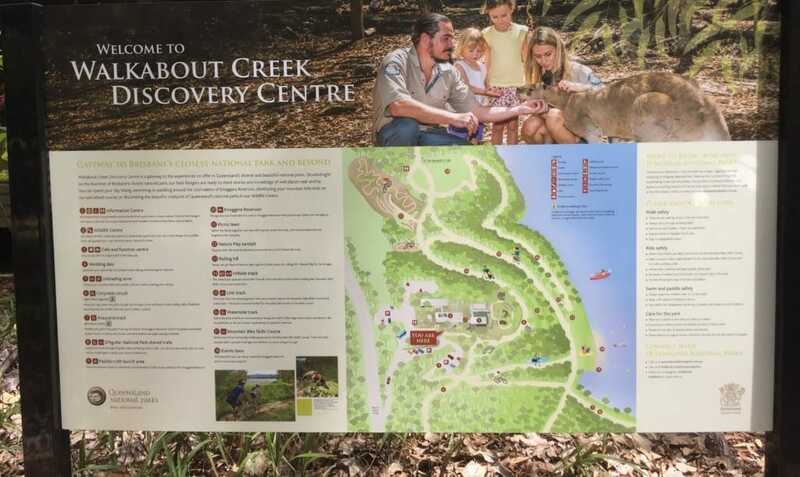 The Walkabout Creek Wildlife Centre, set within the Walkabout Creek Discovery Centre, is just 12km from Brisbane CBD on the edge of the D’Aguilar National Park. The Wildlife Centre offers a natural bush setting in which to see native Australian fauna up close, including the shy platypus in the recently installed Gondwana Platypus Rockpool. There’s a daily Wildlife Discovery Show, and to make your day complete you can collect a picnic hamper from the Walkabout Creek Café and enjoy all that the national park has to offer, including swimming in Enoggera Reservoir, walking trails, and a mountain bike track that’s not for the feint-hearted! 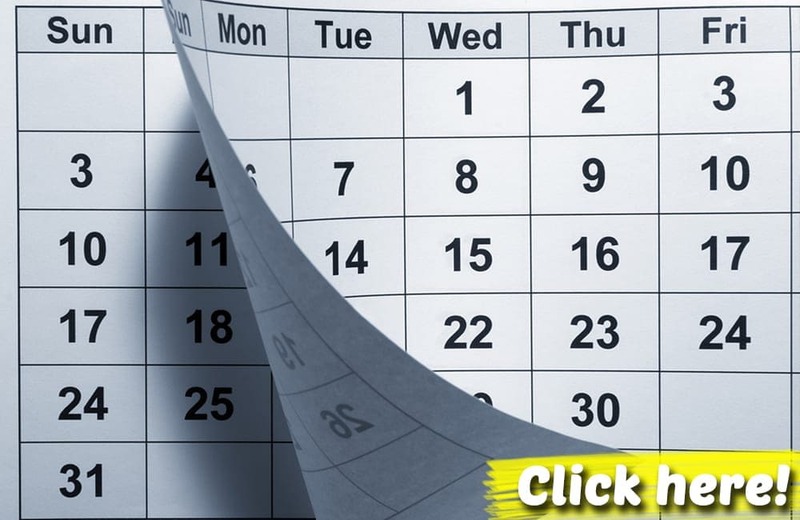 To help you plan your day, check out this article for more information. For over 80 years the Ipswich Nature Centre has been a popular local destination for families and visitors, and it’s just a gold coin donation to enter! Ipswich Nature Centre is beautifully landscaped to replicate the wildlife’s natural habitat, wheelchair and pram accessible, and has variety of native flora and fauna to enjoy. There’s a pond, aviary and nocturnal bilby exhibit, and a barn with all your favourite farmyard animals. Ipswich Nature Centre sits right alongside Queens Park where you can stroll amongst the beautifully maintained gardens and the kids can burn off energy on the playground. To find out more about Ipswich Nature Centre, click here. It’s true – there’s an ostrich farm in Brisbane! Well, just over an hour away in Esk actually, but it’s well worth a visit if you’re looking for something a little quirky and different. Run by retired couple, Pattie and Alan, the Brisbane Valley Ostrich and Fish Farm is a place where you can meet the two resident pet ostriches (and their emu, peacock and guinea fowl friends), browse the display of hand-carved and painted ostrich and emu eggs (Pattie’s own creations), and keep the sun off with ostrich feather hats and parasols. You can also relax by the ponds for a spot of humane fishing (barbless hooks are provided), or enjoy a lakeside picnic or barbecue. BOOKINGS ARE ESSENTIAL. Call 5424 1146 to book. NOTE: Pattie and Alan are winding down operations. Check before setting off if they are still operating! This experience is truly different! How would you like to take a llama for a walk? You can with Ottaba Llama Walks! You’ll be paired with your own friendly llama who’ll make the 2-3km trek with you. Walks are on mostly flat terrain, and include your choice of a farm visit or wine tasting experience at the end. The family-friendly farm visit will give you the opportunity to mingle with donkeys, goats, alpaca and camel but bookings for walks and tours are essential. Visit the website for more information and to book. Just 30 minutes north of Brisbane is a peaceful haven where visitors can interact with friendly herds of Red, Rusa and Fallow Deer. The sanctuary, set on 40 acres of lush private parkland, has been open for over 35 years, and is a beautiful place to relax and unwind. Visitors can enjoy a Devonshire Tea and other delicious treats in the Sanctuary Café before hand-feeding the deer, and there are deer-related souvenirs available to purchase in the gift shop. The sanctuary is open on weekends from 10am to 4pm, and on weekdays and holidays by appointment. Visit the website for more information and to book. Run entirely by volunteers, Bribie Island Butterfly House serves to educate visitors about the importance and conservation of many beautiful butterfly species. Although it’s not large, the enthusiastic “Flight Attendants” are dedicated to providing you with an experience to remember. Their top tip? Wear bright colours to encourage butterflies to land on you, but please don’t touch them! Visit the website for opening hours and details. White Ridge Farm is a small hobby farm in Elimbah, one hour north of Brisbane. Entry to the farm includes a cup of animal food and a hay ride, and you’ll get to meet alpacas, llamas, miniature horses and a range of popular farm animals. There’s an adventure playground and trampoline on site and plenty of BYO picnic areas. Opening hours are subject to weather so please check the website, before visiting. Tommerups Dairy Farm, 90 minutes south of Brisbane, is a working dairy farm that welcomes visitors for a farmstay vacation or tour. This historic farm has been in the same family since 1874, and although predominantly dairy it’s also home to rare heritage breed pigs and other farm animals. Holidaymakers can choose to stay in one of two historic cottages on site, while day-trippers can enjoy a guided tour that includes morning tea in the shade of the blue gums. BOOKINGS ARE ESSENTIAL. Visit the website to book. Mountview Alpaca Farm, located in O’Reilly’s Canungra Valley Vineyards, is a great place to visit and feed the many resident alpacas, followed by a picnic in the grounds (BYO or book in advance for a pre-prepared picnic or BBQ pack). As it’s located within the O’Reilly’s Rainforest Retreat, you’ll find lots of other great places nearby to explore too! Brisbane is one of the luckiest places in the world for its variety of beaches. To the north and south are fantastic surf beaches, whilst closer to the CBD you’ll find flat beaches sheltered by Moreton Island and North Stradbroke Island. Add to that our easily accessible offshore islands and even an artificial beach in the CBD and you’re spoiled for choice! Surf, swim, wade, fish, build sandcastles, play beach cricket, explore rock pools, body-board, or kayak; whatever your reason for heading to the beach, Brisbane has the beach for you! Here are some of our favourite kid-friendly ‘flat’ beaches. Yes, there’s a beach right in the centre of Brisbane city! 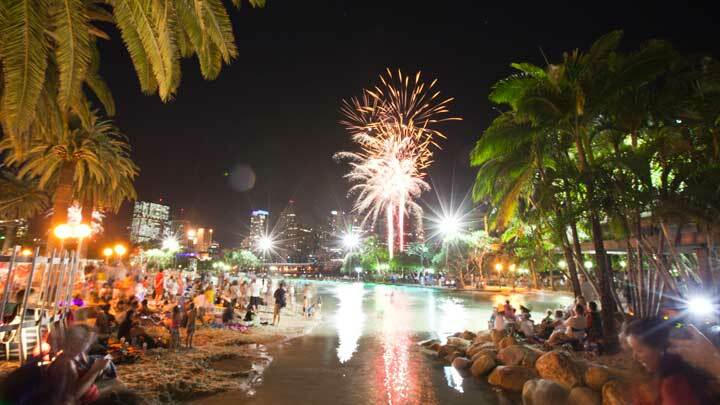 Streets Beach in the South Bank Parklands is an inner-city seaside haven and must-visit Brisbane destination. An extensive sandy beach gently slopes down into the lifeguard-patrolled lagoon, with clearly defined depths and calm flat water. There are changing rooms and showers nearby, beach lounges and shady palm trees, and a wealth of dining options within metres. Relaxing on your beach towel, or cooling off in the water, you’d never guess you were on an artificial beach! See the contents box at the top of this article for other great visitor in the South Bank Precinct. A beach that’s perfect in every way! Sheltered by North Stradbroke Island, the waters are calm and flat with a long gently sloping shelf. It’s a perfect spot for paddling, building sandcastles, kayaking, flying a kite and playing other beachside games. When the tide is in, the kids will love the beachside adventure playground with its huge climbing trees, and when the tide is out you can take the 1km walk along the sandbank to historic King Island. Don’t forget to check the tide times before you set off, and look out for the different marine life – including the occasional dugong and turtle – as you make your crossing. 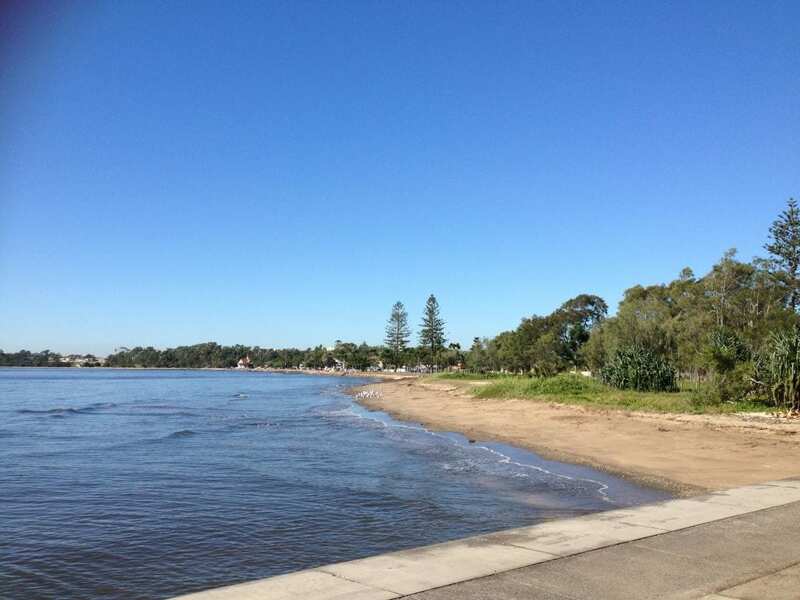 Just north of Brisbane is a picturesque stretch of three beaches; Sandgate, Shorncliffe and Brighton, connected by walkways, cycle paths and parkland. The shorefront area has numerous cafés and playgrounds, and the beaches are long and sandy. There’s a great jetty to stroll out over Moreton Bay, and if you fancy a break from all the sand and sea, the boutique shops and heritage architecture are a welcome diversion. It’s a great venue for a family outing, with lots of opportunity to tire the kids out! Wynnum is a popular destination for families, with so much to do. The promenade stretches for kilometres and has clearly defined walking and cycling lanes. 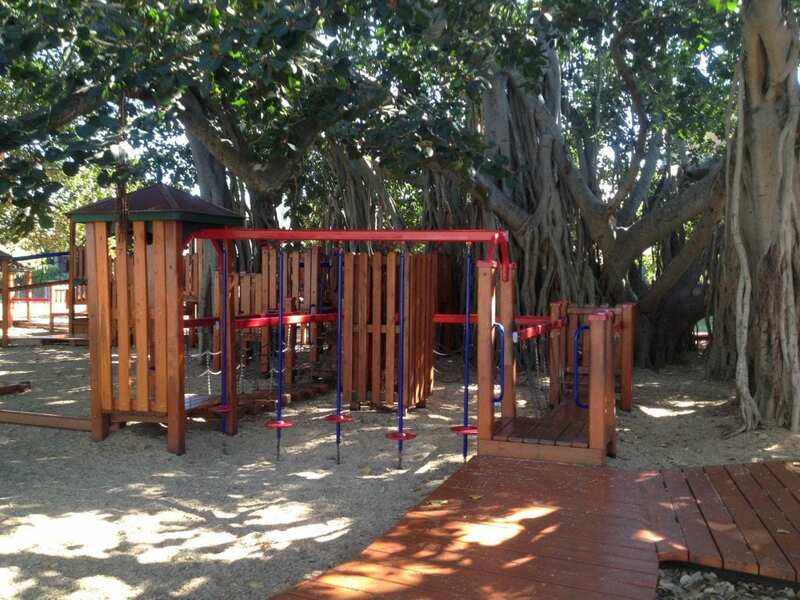 There are numerous playgrounds and BBQ/picnic facilities, a huge seawater wading pool with waterslide, a newly renovated water play park and adventure playground, and toilets, showers and drinking fountains. A walk along the pier with it’s inlaid mosaic art will afford you a great view of the many nearby Moreton Bay islands and Port of Brisbane, and at the start of the jetty you’ll find Pandanus Beach. Pandanus Beach is a safe sandy beach sheltered from big waves by the islands and the pier wall. It’s the perfect place for little ones to paddle and look for shells and crabs, and there are plenty of eateries and ice-creameries nearby. If you’re looking for beaches with bigger surf, take a look at the more open beaches of the Sunshine Coast and Gold Coast, or take the ferry to one of the nearby islands and head for the Pacific Ocean on its eastern side. Brisbane is situated to the east of The Great Dividing Range, a series of low mountains and plateaus that traverses the east coast of Australia from northern Queensland all the way through New South Wales and into Victoria. A short journey west, northwest or southwest of Brisbane will take you to some of the most beautiful and diverse low mountains you could ever wish to visit, and you’ll be spoiled for choice with the many hiking trails! Trails range from a few hundred metres to 24kms and will take you through a variety of stunning landscapes: rainforest, eucalypt forest, woodlands, open grasslands, waterfalls, rocky plateaus … all you have to do is choose your level of difficulty and pick one of the well-signed tracks. You could start with one of the suggestions below. Mount Coot-tha, a short drive west of Brisbane, is famous for its many visitor attractions, including the Mount Coot-tha Botanic Gardens, the Mount Coot-tha Lookout and the Sir Thomas Brisbane Planetarium, and it’s a great place to get out in the fresh air and spend a day hiking. At Mount Coot-tha you’ll find a variety of hiking trails, from the easy Discovery Trail to the challenging Kokoda Trail. In fact, there are 70 different trails graded by difficulty and suitability for hikers, cyclists and horseback riders, and lots of lookouts, picnic areas, BBQs and shady grassed areas to stop for a rest. You can download a map and further information from their website. Mount Coot-tha joins the southern end of the South D’Aguilar National Park, another perfect spot for hiking. The South D’Aguilar National Park, formerly known as Brisbane Forest Park, is a huge area of subtropical rainforest, bush, woodlands and rocky gorges, with spectacular views towards Moreton Bay from the high ground. You’ll find access points to the park as close as a 15 minute drive north west of Brisbane (Mount Nebo and Mount Glorious), up to 90 minutes away if you choose to enter from the Mount Mee side. This park is big; like 36,000 hectares big! At South D’Aguilar National Park you can go for a reaaaalllly long hike and camp overnight in one of the camping spots, or take a mountain bike to get around quicker. With so many trails, diverse landscapes, lookouts and abundant wildlife, D’Aguilar National Park is a place you could visit again and again! Only 10km south of Brisbane, the Toohey Forest Park and Mt Gravatt Outlook Reserve offers spectacular views of the city and its surrounds. This park is an easier option for young hikers with several kilometres of bush walking trails and cycling tracks, and not too many places to get lost! There are plenty of picnic areas and lookouts, and you might even spot an echidna or two. 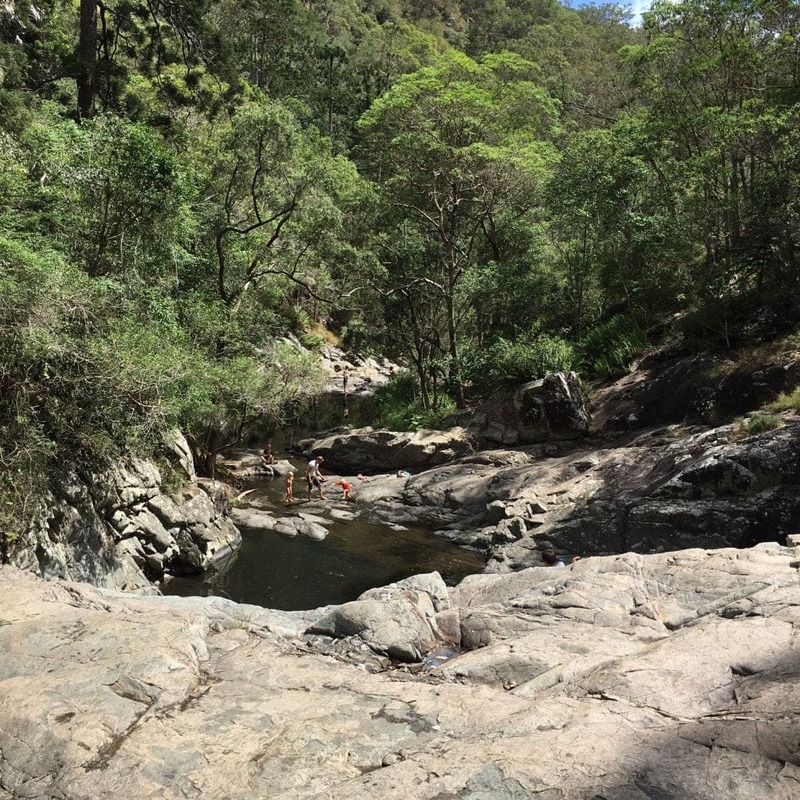 If you are looking for places to visit near Brisbane then get out of the city and cool down in one of our nearby swimming holes. These are our favourite free attractions near Brisbane and perfect for families, couples, friends… anyone! Kondalilla Falls (that’s the one in the photo above!) is located just over 100km north of Brisbane, near Montville, in the Sunshine Coast hinterland. Its is a beautiful natural and serene place to explore with the whole family and being reasonably close to Brisbane it is perfect place for a day trip. The swimming hole is easily accessible and only a few minutes walk from the car park. It is large and lusciously green with a 4m cascade, all great for swimming with kids as long as you keep a watchful eye. The best part is that it is only a few minutes walk from the car park along a reasonably steep, but manageable decent. We’ve written a detailed review and video here. Cedar Creek has long been a popular day trip from Brisbane for families. Cedar Creek runs approximately 20 kilometers from the Mt Glorious state forest to where it adjoins the South Pine River in Eaton’s Hill. The most popular rock pools, waterfalls and swimming holes are found at the mountain end along Cedar Creek Road. Find out more here. Located at the junction of Bergin Creek and South Pine River, at the end of Dugandan Road (enter 88 Dugandan Road into your phone or sat nav), Bunya Crossing Reserve Swimming Hole is a hidden gem in the Moreton Region and just 25 minutes from Brisbane CBD. It’s such a close, idyllic setting that is a great day trip for families. Read our overview and watch our video here. There is something so special about walking through the bush, listening to the native birds singing with the trickling of water in the background slowly getting louder as you approach the stunning falls and rockpools. You have just arrived at one of South East Queensland’s little hidden treasures, Gardners Falls. Find out more here. Cedar Creek Falls at Mt Tamborine is a relatively easy drive from Brisbane, the coast or inland and as you get closer to the mountain the scenery gets prettier as well. 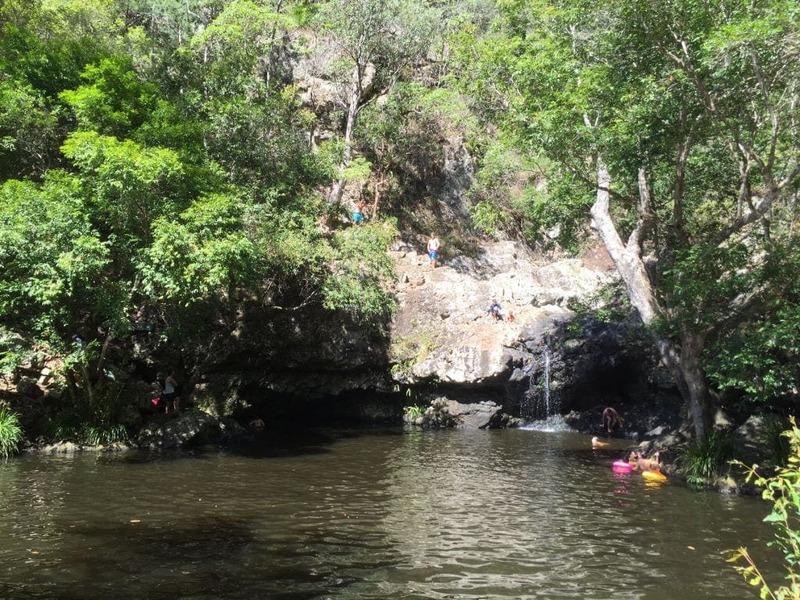 Check out how to get there, what to do and why Cedar Creek Falls is an excellent cheap day trip for your touristy visitor – click here. Cascading waterfalls, lagoons, trickling streams all surrounded by lush, tropical greenery … sounds like the stuff that holiday photos are made of, right? It’s one of our ABSOLUTE favourite things to do on the Gold Coast – for VERY good reason! Find out why it is perfect for your overseas visitors here. If you are looking for a quiet and little known swimming hole that is yet to be ‘discovered’ by tourists, but perfect for families, then check out Stony Creek swimming hole near Woodford. As the name suggests Stony Creek has stones and boulders throughout making it fun for fossicking young and old kids (and their adults) alike. The creek is surrounded by native bushlands and has a grassy area with picnic tables and BBQ’s so you can bring picnic and BBQ equipment for a lunch or dinner with family and friends. Find out all about it here. 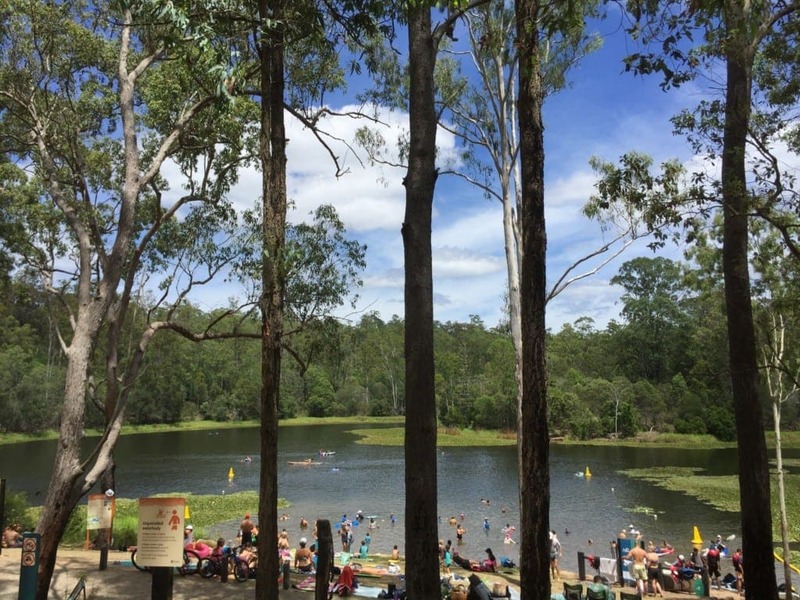 Nestled in the western suburb of The Gap in Brisbane, Enoggera Reservoir, formally known as Enoggera Dam is a must do fresh water swimming hole for Brisbane families. SEQwater, a Queensland Sate Govt Dept, are responsible for the lake and the maintainence of the waterways. You are welcome to swim, canoe, kayak in/on the water, but motorised water vehicles are prohibited. There are also lots of families with inflatable water devices, mats, boggie boards, rubber rings and mattresses. Read more and watch our video review here. The Booloumba Falls bush walk is ideal for people who love a bit of adventure in the great outdoors. Along the way you’ll be treated to the beauty of waterfalls, creek cascades, tall eucalypt forest, rich lush rainforest as well as spectacular boulders, which line the creek and will be a big hit with the kids who will enjoy climbing them! Find directions here. Tallebudgera Creek is a great place to relax, snorkel, splash and chill out without worrying about big surf and big crowds. The area is bordered by Burleigh Heads National Park and Palm Beach. The focus here is on swimming, snorkelling, fishing, kayaking and general good vibes. Read our detailed review here. 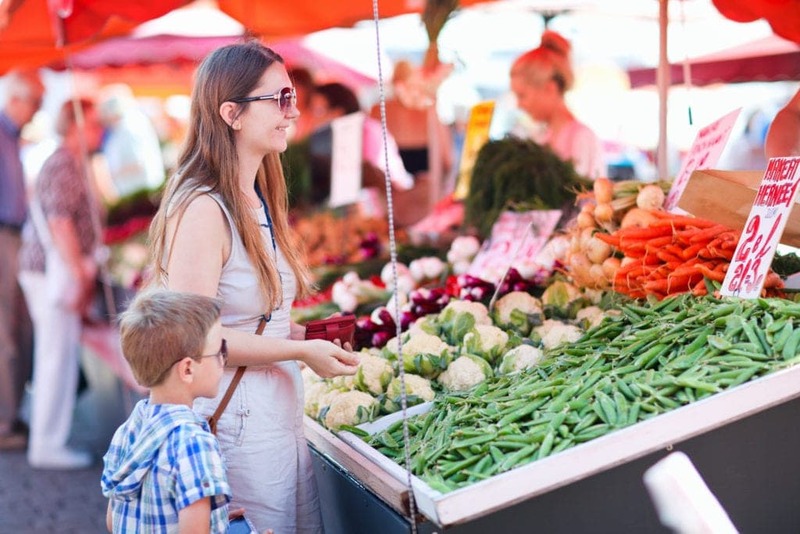 Visiting the wide variety of markets in Brisbane is a great way to introduce your overseas visitors to some of our hand-made, organic culture. There are op shop markets stocking vintage goods, divine fresh produce, entertainment for the kids and ALL THE COFFEE. Here are our favourite places to take overseas visitors when it comes to Brisbane markets. We’ve got a full write up of Northey St Markets here that you can check out. This is one of Brisbane’s true organic markets and it’s always chock full of bargains, good vibes and entertainment. There is even a cute little farm attached. It can get quite busy so we recommend an early arrival and paying very close attention to the parking signs if you’re parking on street rather than in the provided car park. What visit to Brisbane would be complete without a trip to the world famous Eat Street Markets! They’re open every weekend and they’re an absolute hive of food, drinks, entertainment and goods from cultures all over the world. 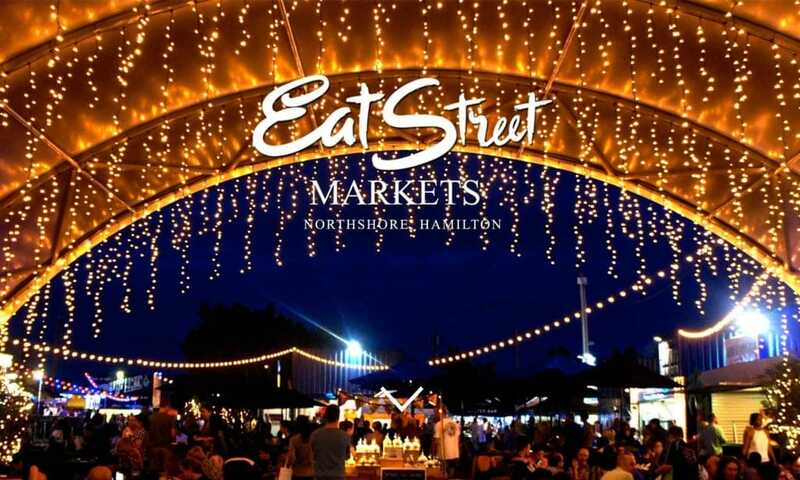 It’s truly impossible to accurately describe the ‘Eat Street’ vibe unless you’ve been there – it’s fun, it’s loud, it’s chaotic and it’s amazing. There is a lot of parking available and the cost of entry is a couple of dollars. There are activities and movies for kids, roaming entertainers, lots of live music and the most amazing desserts you’ve ever seen. They’re constantly expanding, too, so watch this space! These markets are great places to take overseas visitors as they pop up all over Brisbane! You can find them in Manly, Mitchelton, the Powerhouse and in Brisbane City! It’s a great place to get a vibe for hand-made culture, couture, craft, cuisine and creativity! Prices are cheap, smiles are big and parking is generally plentiful. It’s a great day out. With an average of 283 days of sunshine every year, Brisbane boasts some of the best tourist attractions for overseas visitors that are outdoor activities. Check out these places to go in Brisbane with your guests if they are keen on a bit of active, outdoor, dare we say it, adrenaline inducing fun things to do in Brisbane! The CityCycle bike hire scheme is a key part of Brisbane City Council’s plan to encourage more people to ride bikes more often and an integral component of Brisbane’s public and active transport system. The CityCycle network conveniently links bus, train and ferry connections and is a great way to get around the inner city and nearby suburbs. With up to 2000 bikes and 150 stations located between University of Queensland, St Lucia and Newstead, CityCyle is a quick, affordable and fun alternative to short trips by car, public transport or walking. Anyone who can ride a bike, and is over 17 years of age, can use CityCycle to see our beautiful Brisbane attractions. CityCycle is available 24 hours a day, seven days a week, making is accessible and convenient for residents and visitors. Find out more here. Riverlife is an excellent adventure option for those looking for things to do on the Brisbane River (or around the Brisbane River!) Riverlife offers a range of activities for a variety of ages from the young to the young at heart. Located at the Naval Stores Kangaroo Point Cliffs Drive you can choose from kayaking tours and stand up paddle boarding. If you prefer to keep your feet dry you can always size up the Kangaroo Point cliffs with our abseiling and rock climbing adventures. Or simply explore the riverside by segway, cycle or scooter. The Story Bridge is Brisbane’s most iconic structure and one of our favourite Brisbane attractions! We promise you that the best way to see Brisbane is by the Story Bridge! Experience a unique perspective of the city and its surrounds, from the Glass House Mountains in the north to Moreton Bay in the east and stretching towards the Scenic Rim Mountains in the south, along with the best views of the Brisbane skyline and its surrounds. Taking around 2 hours and suitable for children from 10 years of age to adults who are fit and healthy, this is a fantastic choice of places to take overseas visitors. Humpback whales begin their annual migration in Antarctica and are seen in local waters from May to October as they make their way north to warmer seas to calve before returning south again to show off their offspring. You can spot whales off the cost of Brisbane at Redcliffe or you can venture further afield to the Gold Coast or Sunshine Coast to go whale watching with one of the many providers. Brisbane Whale Watching offer 100% guaranteed what sightings! Brisbane Whale Watching invites you to hop on board the magnificent Eye-Spy for an encounter with the whales. And there’s no better place to observe the mighty Humpback than Brisbane’s Moreton Bay. Read our review of our day out with Brisbane Whale Watching here. Fancy a little bit of a road trip south of Brisbane? Whale watching is synonomous with the Gold Coast. We’ve reviewed Whales in Paradise here, but there are multiple providers tht can offer you a great day out. Wanting to go whale watching Sunshine Coast style? Here are some great ideas for an unforgettable family experience! There’s an unearthly beauty that comes with watching these peaceful giants at play. It truly has to be seen to be believed. We’ve listed a range of Sunshine Coast places to see whales here. 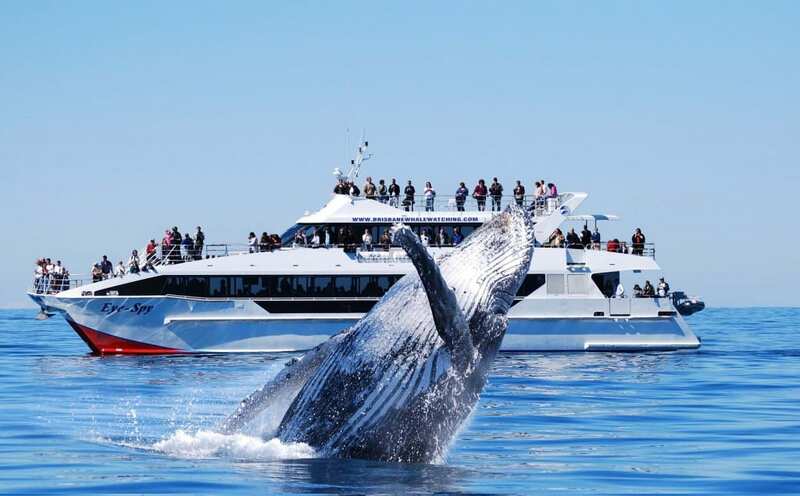 If you haven’t got the time or the sea-legs for a whale watching cruise we’ve found the best places to go land-based whale spotting in northern NSW, the Gold Coast and the Sunshine Coast, so grab your binoculars and camera, pack some snacks and the kids, and get ready to follow the whales north along the humpback highway. The Brisbane Arts Theatre is an iconic Brisbane venue that opened over 50 years ago! It’s prime position on Petrie Terrace makes it easily accessible for visitors. The Brisbane Arts Theatre team are renowned for putting on a wide variety of shows designed for all different types of audiences so there is bound to be something for everyone. Head to bustling Fortitude Valley to take in an intimate show, an evocative artscape or an incredible installation at this mecca for all things art and culture. The theatre itself is on Brunswick Street, an easy walk from Fortitude Valley train station and there are plenty of Secure Parking options around for you to choose from. Inside gorgeous and historic New Farm Park is nestled the Brisbane Powerhouse – the home of innovative theatre, comedy, art and culture. Parking is available in the circular drive or nearby streets (watch for signs and parking inspectors) and you’re absolutely certain to have a fabulous time. Spend a while absorbing the beauty of the grounds and the river as well – this might be a great one to suggest if your visitors are in need of a romantic night out. La Boite is located on the Kelvin Grove Queensland University of Technology Campus. It’s home to explorative, evocative, experimental and exciting theatre. You’ll find that this theatre-in-the-round is an affordable and exciting night out as students, graduates and touring companies put on incredible performances for capitvated audiences. Head north to the peninsula to the home of amateur musical theatre! Redcliffe Musical Theatre sees real people putting on real performances to the delight of real audiences. Hairspray to Jesus Christ Superstar – everything’s covered and their seasons run year round. It’s truly a delight to experience and a must-see for ANYONE, not just overseas visitors! Cleveland is the home to this performing arts complex that consistently churns out a wide range of high quality, diverse productions that cater for a variety of audiences and tastes. From children’s shows to thoughtful adult theatre, the Redlands Performing Arts Centre invites you to take part in culture and transport yourself to other worlds. This new player on the Brisbane suburban theatre scene is quickly making its mark as an excellent venue that can cater for everyone. SunPAC offers clever design, accessibility, forward-thinking planning and the attraction of a diverse range of performers and performances. It’s an exciting addition to small theatre in Brisbane and an excellent resource for those living on the southside of Brisbane. You can read our review and watch our video about the venue here. Fancy taking your overseas/interstate visitors to cheer on a local team? Whatever team sport you’re into we’ve got you covered, so pick your favourite, grab your supporter’s scarf and head into the city for a night of cheering, groaning, clapping, foot-stomping, pie eating fun! NOTE: Brisbane City Transport offers free public transport and park-and-ride schemes to many team sport home games on presentation of your match day ticket. Check your tickets or visit translink.com.au for travel information and participating venues. The NRMA Brisbane Broncos are Brisbane’s official National Rugby League team, founded in 1988, and ranked as rugby leagues most successful club. Their fans really get behind them, with the Brisbane Broncos having the highest fan base membership of any other rugby league club – and with a fan base like that you’re guaranteed a fantastic atmosphere at every home game! The Brisbane Broncos play at Suncorp Stadium when at home, and we can promise you a good view of the game from any seat. Just remember your sunscreen and hats as not all seats are in the shade. See the website here for match dates and ticketing information. Don your maroon, download the official chant, and get ready to shout yourself horse (see what I did there?) now! Basketball is one of the fastest growing team sport in Australia (currently ranked second most popular for kids and teens), and with our National Basketball Team regularly ranking in the world’s top 5 for both men and women there are plenty of talented home-grown players to inspire our youngsters. Our own local team, the Brisbane Bullets has a strong focus on family friendly fun, seeking to inspire future players and entertain with every game. In fact, the Brisbane Bullets Core Values are Respect, Inspire, Family. Basketball games are fast-paced and charged with atmosphere, and when the Brisbane Bullets are at home (usually the Brisbane Convention and Exhibition Centre, but occasionally the Brisbane Entertainment Centre), they love to invite kids down courtside after the game for a bit of fun and show-ponying. The Brisbane Bullets love their fans, so grab your camera and get set to #ForeverBrisbane! The Brisbane Lions – the Pride of Brisbane – is Brisbane’s Aussie Rules football club. Aussie Rules (officially known as Australian Football) is a highly energetic contact sport with the highest spectator attendance in Australia. The Brisbane Lions play their home games at the Gabba, which is easy to get to on public transport, but has limited nearby parking options. If you’ve never seen an Aussie Rules game before, check out the Brisbane Lions website for game scheduling and ticketing, download the club song, and treat yourself and the family to a fantastic night out. Find out more on their website. Soccer is the number one team sport for kids’ participation. Known as the World Game, soccer is played by boys and girls, men and women on almost every continent of the world. Our own local club, Brisbane Roar FC, has an outstanding track record, which means every game is charged with excitement as the crowd roars their team on to yet another victory! Playing home games at Suncorp Stadium (heaps of leg room and great views), Brisbane Roar promise a family-friendly atmosphere with lots of chants, cheering, foot stomping and shirt waving, and fireworks after every home goal! Dig out your orange shirts and join the fun at the next home game – details on the website! The focus of the Brisbane Strikers is on developing young talent to become elite soccer players. Fielding teams across several age categories, the club is going from strength to strength. Brisbane Strikers play at Perry Park, Albion; a traditional grass-roots venue with mainly standing viewing and some seating, so if you like a raw soccer experience you’ll love attending their games. Get behind a team that gets behind young players, and take the family to a Brisbane Strikers game. The Queensland Reds have a long history stretching way back into the late 1800s, and continue today as a premier Rugby Union team playing Super Rugby on the international circuit. Matches are played at Suncorp Stadium and the Reds are proud to be fielding men’s, women’s and youth’s teams. Check out the timetable on their website. Think cricket is slow and boring? Think again! Twenty-20 cricket is a short form of the game played in an almost festival atmosphere, complete with loud music, fireworks, chants, Mexican waves – and buckets on your head! The Twenty-20 Big Bash League cricket is ALL about family fun. A night out with Brisbane Heat is guaranteed to keep every member of your family entertained from before the gate even opens! Home games are played at The Gabba, and your night will start with entertainment on the lawn outside the venue. Here you’ll find competitions, give-aways (we got a water bottle each that the staff inside were happy to fill for us) and skill testing equipment to get your kids in the mood, before you enter The Gabba to collect an assortment of free inflatable cricket bats, thunder sticks, noise makers, and the ubiquitous KFC Big Bash Bucket-Head Bucket! Armed with your freebies, you’ll then find heaps of Face-painters lining the corridors ready to paint the Brisbane Heat logo or colours on your face (free) and balloon makers who will craft for you anything from a crown that looks like a wicket, a cricket bat and ball, or whatever you fancy from the regular range of sword, flower, sausage dog etc. – again all free! There are heaps of eateries available selling everything from fruit, salads, gourmet burgers and sausage rolls, to ice-cream, snacks and drinks. Throughout the game – even if you don’t know the rules – you’ll be kept on the edge of your seat as every over, catch, big hit or run-out is met by loud music, fireworks, and an impromptu performance from the cheerleaders and mascots. The half-time show is always worth staying in your seats for – it could be a laser light and music show, or you never know when the Rocket Man is going to take off for a jet pack flight across the oval! You’ll be challenged to make the longest lasting Mexican wave, the loudest clap on the Clap-o-meter, the loudest response to the commentator’s chant; and at the end of the night your dear little cherubs will be all tuckered out and ready for bed. Can you tell this person is a Big Bash? We think you’ll be hooked too after your first experience, so get your teal on and visit the website for more information. #TurnUpTheHeat! NOTE: Seating at The Gabba is not the most comfortable or spacious. We recommend taking a cushion and trying to book seats at the end of the row for the best experience. Sticking with the cricket theme, if you’re already a fan on the one-day game then Queensland’s own cricket team, the Queensland Bulls, could be the team to watch. One-day cricket and three-day cricket are slower games based on strategy, rather than the smash and bash of the Twenty-20 BBL. If you’re looking for a social experience relaxing at the cricket, check out the Queensland Bull’s website for details of their next game and ticketing. The Queensland Firebirds is Brisbane’s very own netball team, and what a team it is! It’s the only team in the Suncorp Super Netball League to have ever completed an entire season undefeated, and a team that inspires an incredibly dedicated fan base. Their home court is the Brisbane Entertainment Centre, which is easy to get to and has heaps of parking and great facilities. If you have a netball fan in your family, they’re sure to appreciate tickets to the next Firebirds game. Tickets and match programs are available at the website. If you are looking for unique things to do in Brisbane, we’ve collacted our favourite things to get you about and about with some of the more unusual things for our visitors and tourists. Heck, if you’ve not done them, why not take your family to see these Brisbane attractions! Named after the road which led to it, that became a boggy quagmire after rain, “Boggo Road Gaol” was officially known as the Brisbane Prison. For 109 years it dominated the skyline of the capital of Queensland. It’s stark red brick walls, and imposing guard tower on Annerley Road have become iconic for all the wrong reasons. Boggo Road Gaol is Heritage listed. and as such, it will never be demolished. In December 2012 it has been reopened and will now become a tourist attraction for Queensland. There are 5 different tours to choose from: History Tour, Prisoner Tour, Officer Tour, Escapes Tour and Ghosts Tour. They run from 1 hour 15 to 2 hours. To arrange your visit book here. Whether you’re new to the area or a Brisbane local, hiring a Brisbane Greeter will introduce you to the city from a different angle. There is a greeter’s choice option to introduce you to Brisbane Hotspots that the tour guide finds interesting, or you can personalise your tour based on your interests or a particular area of your choice. Best of all, hiring a Brisbane Greeter is free! To book a tour, register here. After you have grabbed your fill of tasty treats form the Yatala Pie Shop, head on over to the Yatala Drive In. It is Brisbane and the Gold Coast’s last open-air drive-in motion picture theatre. It was formerly Beenleigh Drive-In and opened on Sunday 27th October 1974. It is considered Australia’s most modern Drive-In Theatre. Experience Brisbane’s history in like nothing you have experienced before. Despite its modern appearance the River City is an old town – haunted by its past. With a range of ghost tours including gaol tours, cemetry tours, city tours, walking tours and bus tours there is something for every age and ability. With the art of chilling storytelling and fascinating history, these tours range from 1 hour to 4 hours long. After exhausting the list above, you may want to find attractions that are near to Brisbane for tourists. We have road tested the things to do with visitors below for you! We mentioned it above, but it deserves a second entry! Australia Zoo is an iconic spot and definitely one that your overseas visitors will be desperate to attend. We’ve got the inside word on how to get the cheapest tickets to see Steve Irwin’s legacy in action. There is plenty here to see and do but be warned – the walks between attractions can be quite expanive (due to the size of the enclosures that are created to give the animals the best experiences) so you may want to consider if everyone in your group will be up to it. That being said, it gets a very enthusiastic two thumbs up from the Families Magazine team! All aboard! A great place to take overseas visitors looking for a bit of a different day out is the Ipswich Workshops Rail Museum. There are simulators, displays, awesome play spaces, talks and tours and usually special attractions on the day. There are cafes and gift stores on site so there’s really everything you need. One word of warning though – if you’re going in summer, prepare your visitors for the HEAT. Phew! Perhaps you are heading to our beautiful coasts. Here’s glimpse of what we have for visitors north and south of Brisbane. Head south with your overseas or interstate visitors. Here is our exhaustive list of things to do on the Gold Coast with kids so make sure you check that out. Here’s a quick bullet point run down of our favourites (click on them to link out to the full articles). There are SO MANY things to do with visitors on the Gold Coast. Have a look around on our site on the “Gold Coast” tab and see what sparks your fancy! The Sunshine Coast has a bit of a slower vibe so if that’s more your style head north for some great places to take your overseas visitors. Here are a few ideas that you might like! Climb Mt Coolum with the kids! 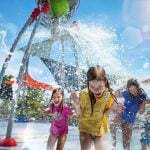 Make a splash at the Sunshine Coast’s variety of water parks! Again – jump on our ‘Sunshine Coast’ tab and poke around to find that perfect activity that’s sure to please even the pickiest of overseas visitors. Looking to find things to do with visitors TODAY in Brisbane? Our calendar will have a comprehensive list of ideas for today, tomorrow and next week. Check it out here. Yeah baby!! I like the way you think!! You can find all the free events, activities and places to take overseas visitors by clicking right here. 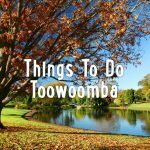 50 Things to do in Toowoomba | Activities, Restaurants, Entertainment and more! 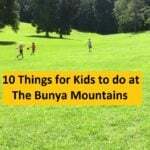 10 Things to do at the Bunya Mountains with Kids (by Kids)!